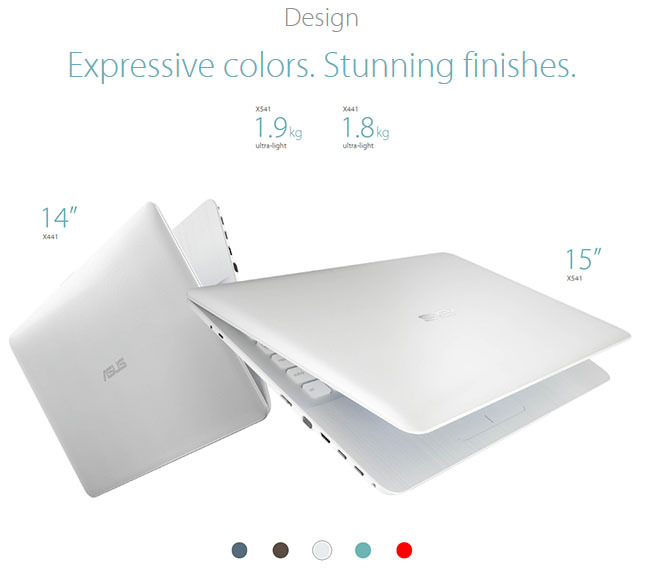 Or pay only P 3,476 a Month for 6 months. 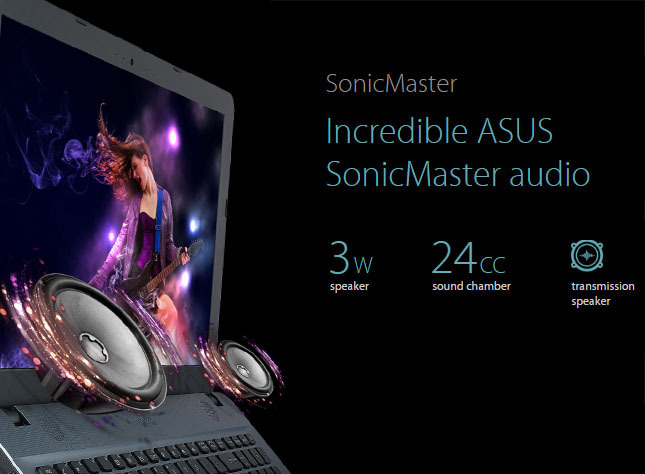 Powered by a 6th-generation Intel® Core processor, gaming-grade NVIDIA® GeForce® graphics, and exclusive SonicMaster audio incorporating ICEpower® technology, VivoBook Max Series gives you outstanding audiovisuals ever experienced on a laptop. 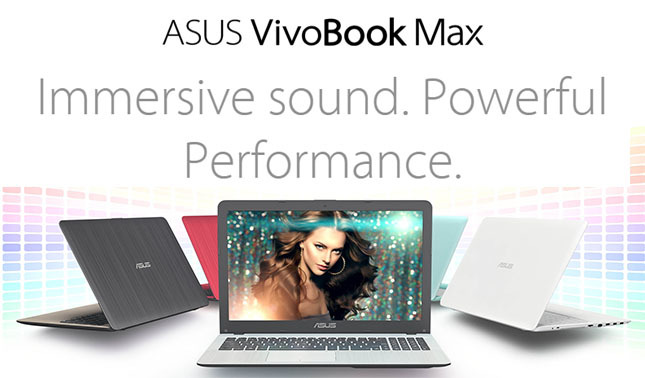 ASUS VivoBook Max Series laptops are designed to give you an immersive multimedia experience. 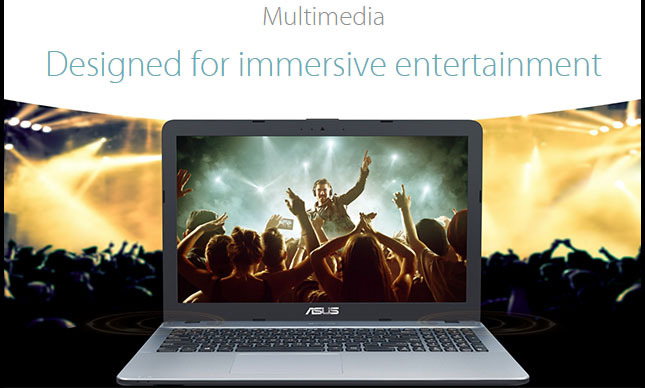 ASUS-exclusive technologies like SonicMaster audio, incorporating ICEpower® technology, ASUS Splendid, and ASUS Tru2Life Video makes your movies and music come alive. 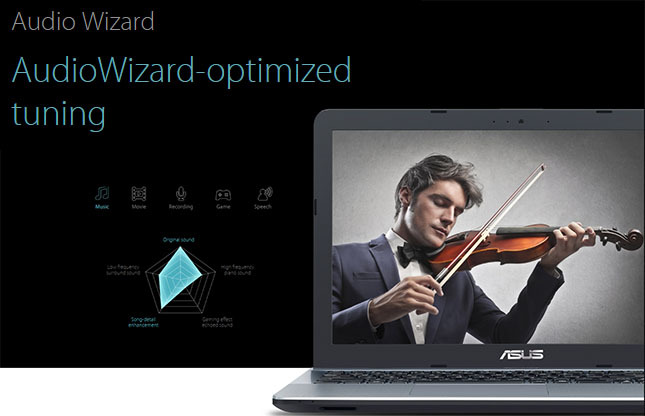 ASUS AudioWizard gives you five audio presets (Music, Movie, Gaming, Speech, and Recording) so you get the best settings for whatever you're doing. 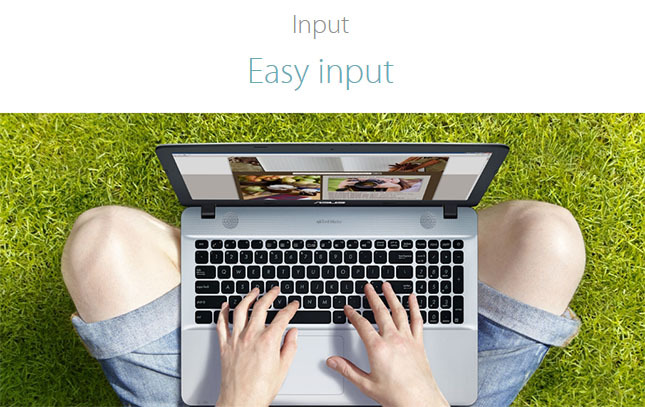 You can easily switch between them via AudioWizard's simple and intuitive interface. 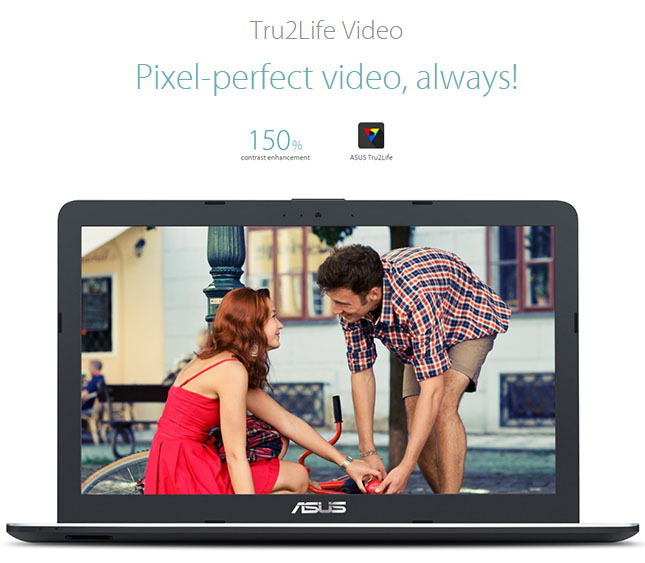 ASUS Tru2Life Video technology makes your videos look amazing. 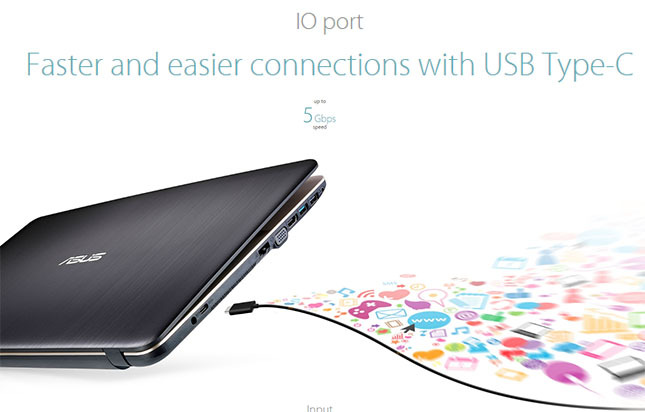 It intelligently optimizes each pixel in the video frame to increase sharpness and contrast by 150% so you'll enjoy the best possible image quality every single time! 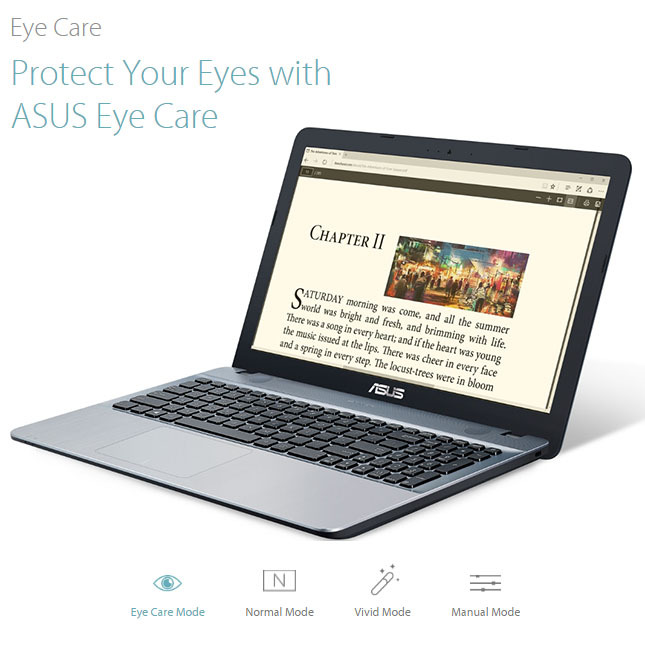 takes less than two seconds. 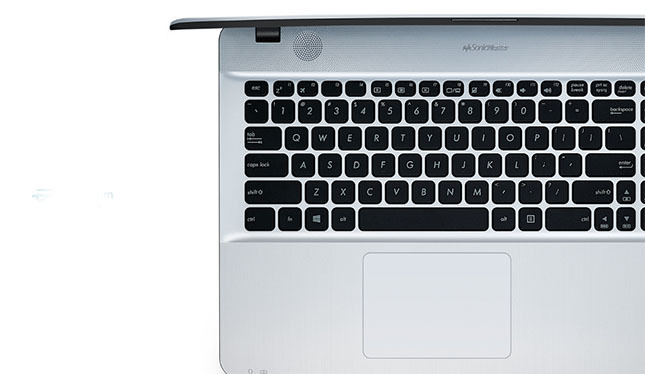 The full-size one-piece chiclet keyboard provides a comfortable typing experience. 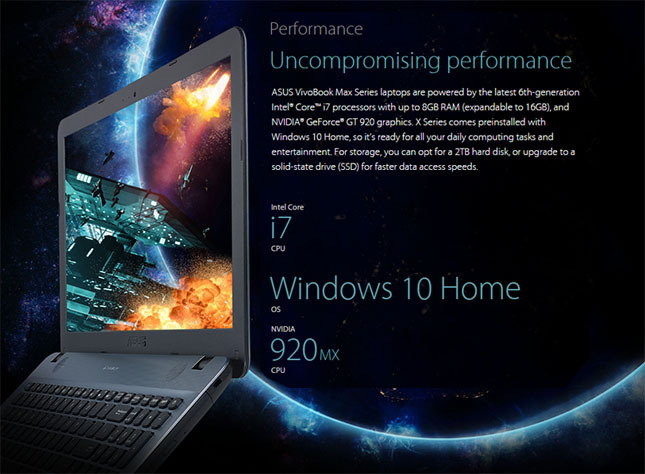 An improved back-assembly provides 2.3mm of key travel and minimal key float for more solid and responsive keystrokes. 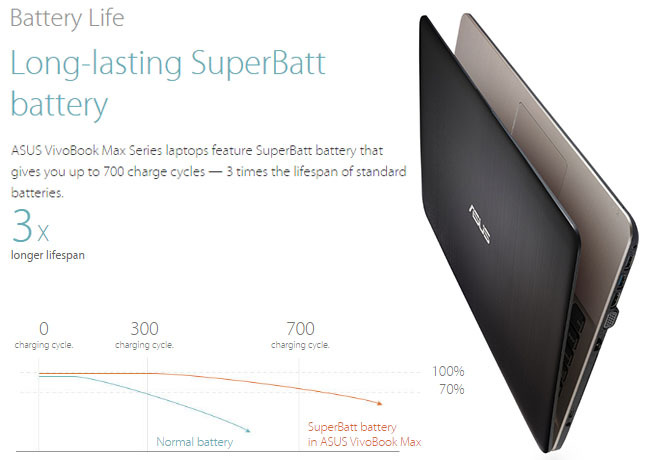 ASUS VivoBook Max Series laptops feature SuperBatt battery that gives you up to 700 charge cycles  3 times the lifespan of standard batteries.